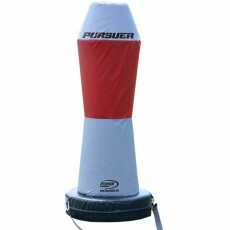 Teach proper open field tackling technique while reducing the potential for injury with football tackle wheels. 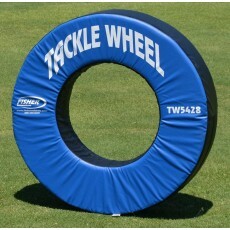 Football tackle wheels, also referred to as tackle rings, are a football training innovation that has gained in popularity among football coaches, coordinators, and assistants because they are designed to teach proper pursuit angles for maximum efficiency. With a tackling ring, you can practice wrapping up on open field tackles without using another player, thus greatly reducing injuries. 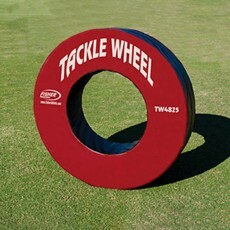 The tackle wheel's round design is ideal for teaching proper pursuit angles. 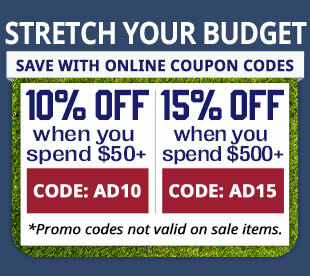 Anthem Sports proudly offers a wide selection of tackling rings offered in several size options to fit your program. 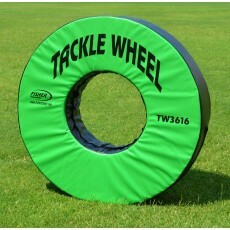 We carry tackle wheels by Fisher, one of the best brands in football equipment and training aids. 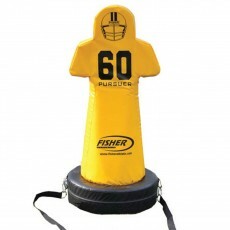 Shop today to find the perfect tackling tool for your team. 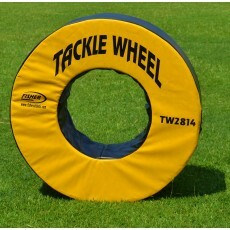 Our selection of football tackle wheels includes a wide variety of colors and sizes to choose from. Size selections range from 28 to 60 inches in diameter. Our peewee and middle school options range from 28 to 36 inches in diameter, so beginning players can practice tackling opponents of their own size. 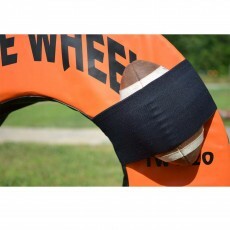 Tackle wheels are made of rebond foam, which provides a solid, firm support base. Now, you can easily teach your little players how to adjust their angles in pursuit and how to wrap up in an open field. 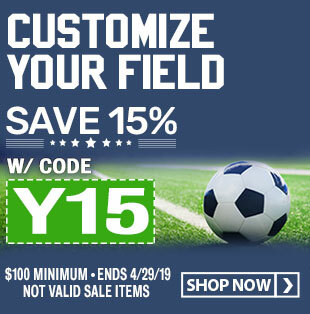 We also offer a medium-sized tackling ring selection for training middle and high school levels, with products ranging from 42 to 48 inches in diameter. Our college and professional wheels range from 54 to 60 inches in diameter. 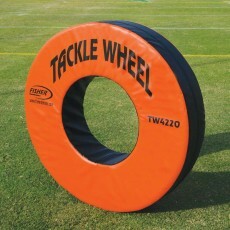 These heavy-duty football tackle wheels are made of poly foam, with coated vinyl on every face of each wheel for protection. 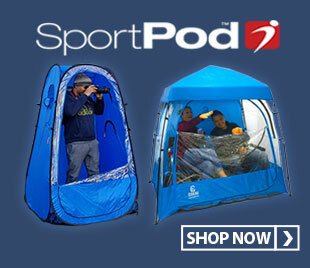 This heavy-duty coated vinyl will also retain its shape, tackle after tackle. 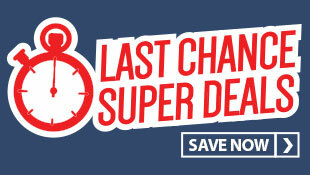 These wheels are certainly built to last! 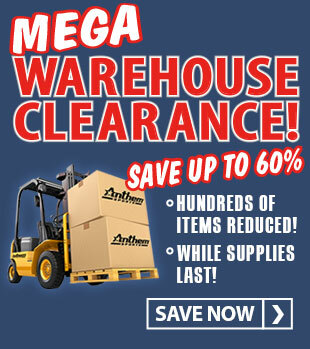 When you order two or more tackling tools, you can reap the rewards of discount shipping. 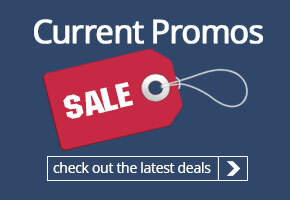 Our strong national buying power also allows us to offer you quantity discounts for the best pricing in the industry. 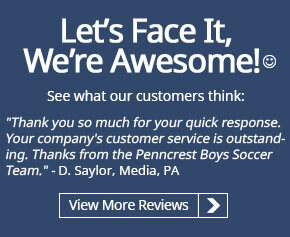 Contact us today to speak with our expert staff, so we can help you choose the right products for your football program and get the most out of your equipment budget. 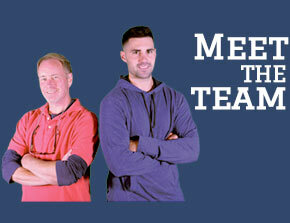 If you have any questions about these products, please call us toll-free at (800) 688-6709 today. Tackle wheels are constructed of durable rebond foam with a heavy-duty vinyl coating that retains its shape tackle after tackle. These wheels are built to last! 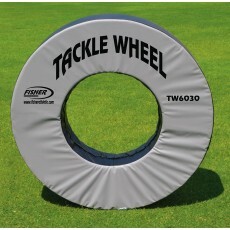 Grab a tackle ring for your team and see why football programs everywhere rely on them for their tackling drills.